dot & line is officially open - ready, get set, brew! We're here to bring specialty coffee vibes to Boerum Hill and we can barely contain our excitement! Come by and say hello - we'd love to chat with you and brew your favorite beverage. We are super excited to showcase the delicious seasonal single origin offerings of Heart Roasters, accompanied by our selection of organic teas courtesy of Camellia Sinensis, the highest quality milk in New York State courtesy of Battenkill Creamery, fresh baked goods from Bien Cuit and One Girl Cookie and so much more. 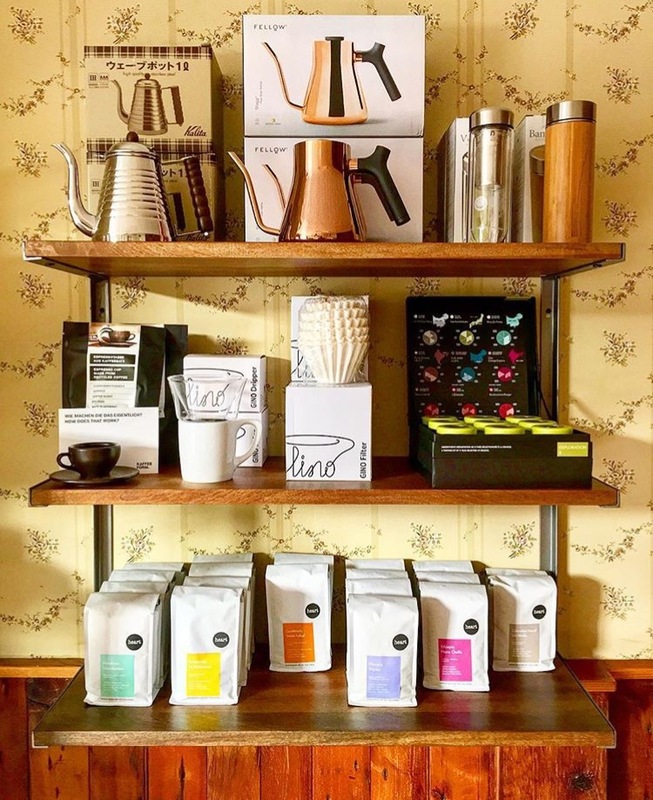 In addition, we also carry retail goods that make great gifts from the likes of Skeem Design, Ted Baker, Ernest Goods, Wild & Wolf and Areaware - to name a few - just in time for the holidays. We even carry an assortment of bike necessities that are sure to help when you're in a pinch. We're around Monday - Friday from 7.30am to 4pm and on Saturday from 8am to 4pm. Closed Sunday (that's brew your coffee at home day). See you soon!